Central Illinois Conceal Carry Instructors are: Illinois State Police Conceal Carry Instructors, NRA Training Counselors, NRA Certified Instructors, NRA Chief Range Safety Officers, Glock Armorers, Affiliate Instructors for Next Level Training, Homeland Security FEMA Certified Active Shooter, Illinois Hunter Safety Educators, and NRA & ISRA Life Members. 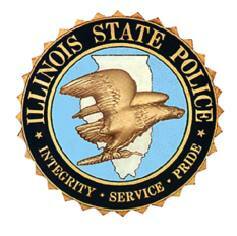 Central Illinois Conceal Carry began in 2013 when the Illinois CCW law was passed. Our diverse Instructor team consists of firearm enthusiasts, firearm safety educators, and others committed to providing you the best Illinois conceal carry training possible. Through a distinct combination of firearm safety training and Illinois State Police CCW curriculum, Central Illinois Conceal Carry is proud to provide one of the most comprehensive and accommodating ways for you to obtain your Illinois Conceal Carry Weapons Permit. If you are a new shooter with no experience, or an intermediate level shooter looking to better your skills, or maybe you are an advanced shooter – Our team of Instructors at Central Illinois Conceal Carry can provide the firearms training you need. Instructions: Please fill out the form below with any questions you may have or to request a class.